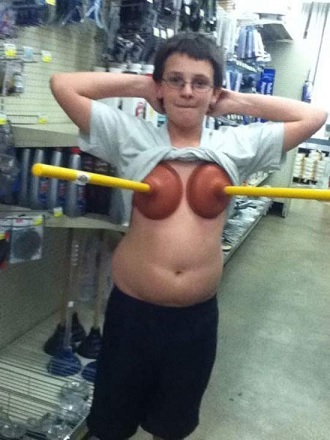 GopherCentral Library: Phunny Pictures - Don't call me cupcake! We used to have this neighbor that had a horse. It was a beautiful animal and very strong. The weird thing was the horse lived in the trailer with this fella, Don was his name. Don and Walter, that was the horse's name. Walter, not Don and Walter. No, I didn't stick my nose in your birthday cake - what makes you think so? Scientists discover hundreds of planets orbiting Scruffy's nose. Cupcakes? I...I...didn't know we had cupcakes. I might have had a lick or two! This may be what they meant when they said, "keep your nose out of other peoples business." 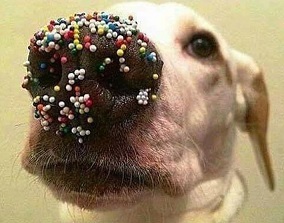 Keep away, I have nose sprinkles, and they are contagious. When I said I wanted a treat, I was thinking a Milk Bone or Pup-peroni.